This year RSPB Scotland Loch Leven is celebrating 50 years of connecting children with nature, volunteering and creating homes for nature. The reserve is a great area to explore the wildlife and nature, plus with kids activities such as bug hunting and pond dipping, makes it a fantastic family day out. 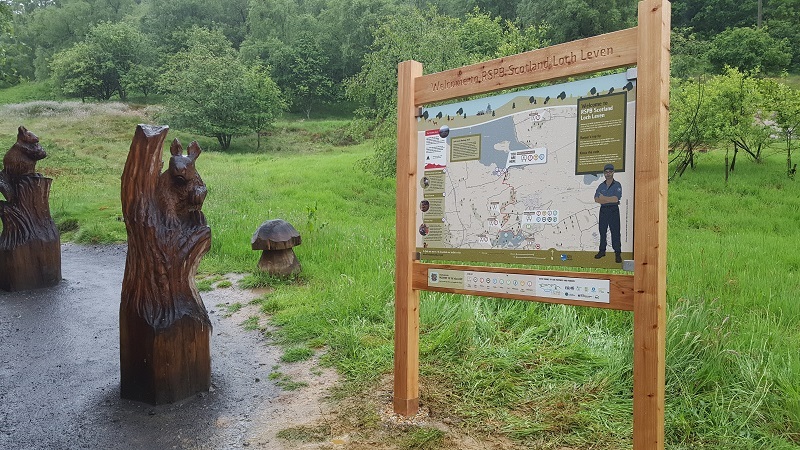 We’re glad to say our 13mm ecoDURA was used in creating this large format interpretive information panel alongside some fine looking wood carvings undertaken by Signs Of Scotland. For the ‘twitchers’ out there, you can check the latest sightings at Loch RSPB Leven link. For interest in our products, please contact us at info@novadura.com for further information or to discuss your application.